Some new kits from Japan. These aren’t Japanese-style ships, but Western-style ships. They’re from a new manufacturer, and what’s more, they’re Frame-model kits. Anyone always wanted to build a frame model, but not willing or able to spend years to do it? 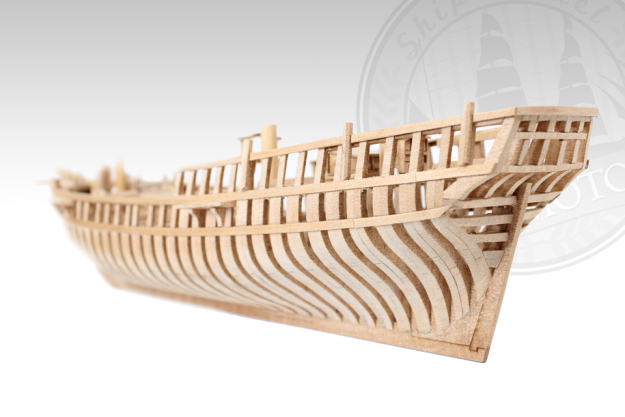 How about a model of the French 17th century warship La Couronne in 180 hours? The Nautical Research Guild just posted some basic previews of 4 new kits from the new ship model kit manufacturer Ship Model Okumoto on ModelShipWorld.com. This is a new company in Japan that is producing a line of kits for those modelers who want to build a frame or admiralty-style model relatively quickly and easily. Hannah by Ship Model Okumoto in 1/70 scale. 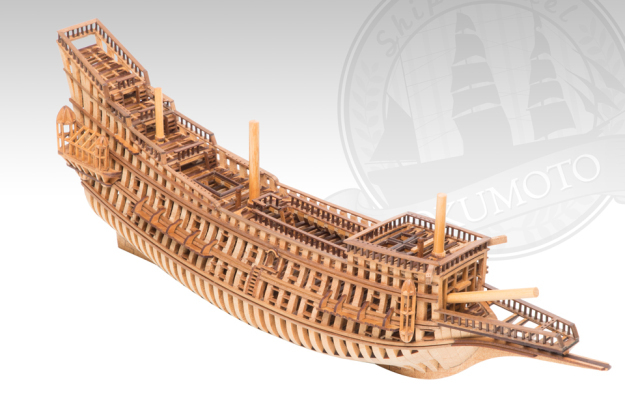 They offer four kits, the Revolutionary War schooner Hannah, the bark HMS Endeavour, the Santa Maria, and the 17th century French warship La Couronne. All are frame-style model kits with all parts laser cut for ease of assembly. La Couronne by Ship Model Okumoto in 1/123 scale.